If we at The Sign Guys had to pick one specialty, wood signs would be it. We love making all sorts of wood signs. 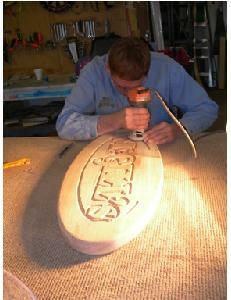 -Our SANDBLASTED signs are cut to shape, painted, and then we sandblast the unmasked areas of the wood. This gives the sign dimension by relieving the space between the grain while the wood grain itself remains raised. 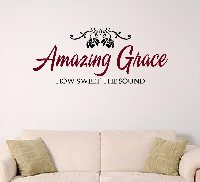 We can team these signs up with 3-D letters to create a very unique and stylish sign. Please see the 3-D letter link at the top of the page. -Our HAND ROUTED signs are hand routed by hired craftsmen on site. We do text routed down, background routed down and gouged routed signs. Gouge routed signs are given an old feel by creating a textured background similar to that of the hand chiseled signs of the olden days. Each sign is individually hand made with a special emphasis placed on producing the highest quality sign we can offer. We primarily use redwood and cedar because of the outdoor durability these woods offer. We do work with other woods when appropriate such as pine, oak, maple, cherry, and many others. Because we hand make every one of our wooden signs it means that nobody else will have a sign just like yours. First impressions are the most important when it comes to customers so let us help make your sign an attention getter.